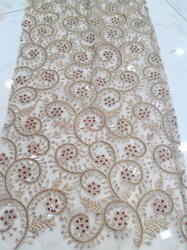 With an objective to fulfill the ever-evolving demands of our clients, we are engaged in offering a wide assortment of Allover Embroidery Georgette Fabric. We are ranked amongst the most trusted firms deeply engaged in offering a wide range of All Over Embroidery Fabric. 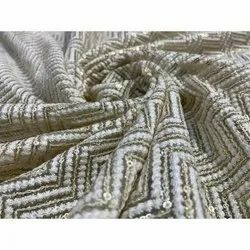 We are identified as one of the leading names in the market engaged in providing a wide range of Embroidery Rumala Sahib Fabric to our valued clients. The offered assortment is available as per the variegated requirements of clients.